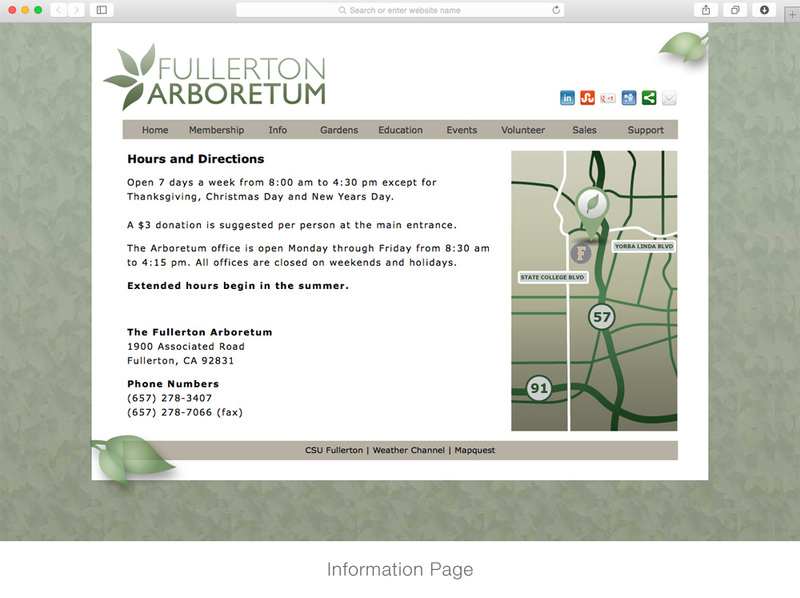 This was a project in a web design class at Cal State Fullerton to redesign the Fullerton Arboretum website. I redesigned the logo and I also took all of the photography used on the redesigned website. 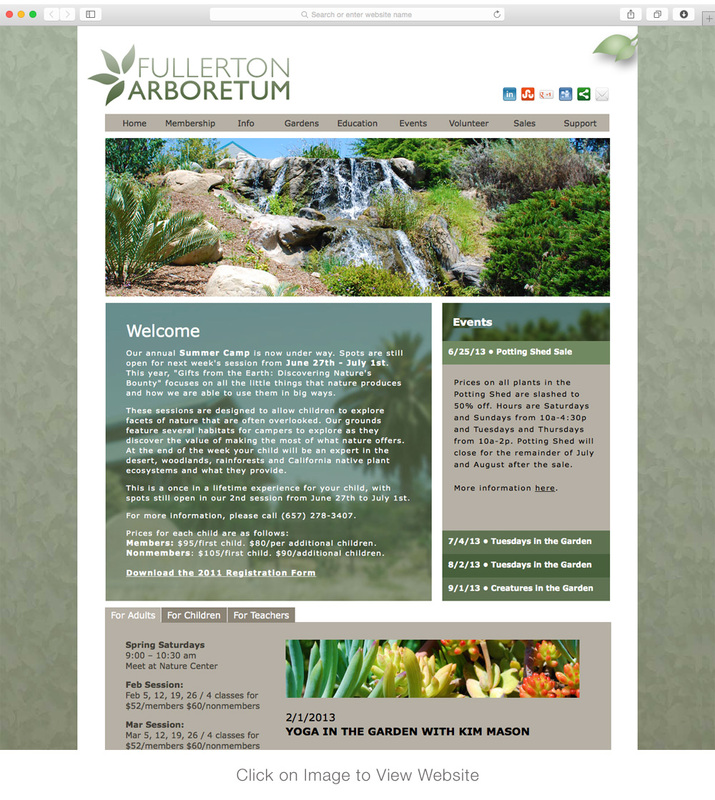 This project was mainly done in Adobe Dreamweaver with some hand-coding. 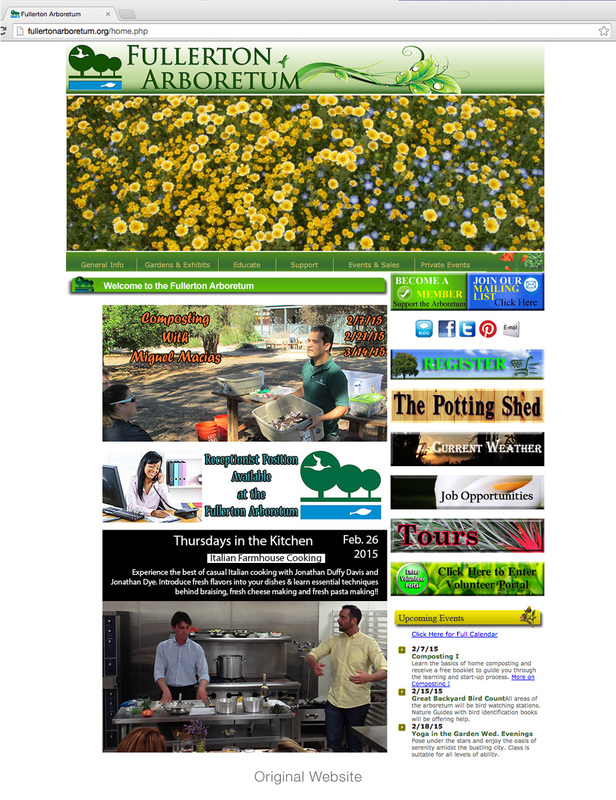 Only the homepage and the info links are active if you click to preview the website.